Girl Kuripot Girl Kuripot: Ship for Southeast Asian Youth Program Applications Open! Travel to 5 Countries in 53 Days! Ship for Southeast Asian Youth Program Applications Open! Travel to 5 Countries in 53 Days! This is a chance to travel to 5 countries in 53 days! You must be 18 to 35 years old to join. You have until April 15, 2015 to submit your application to be a participating youth! 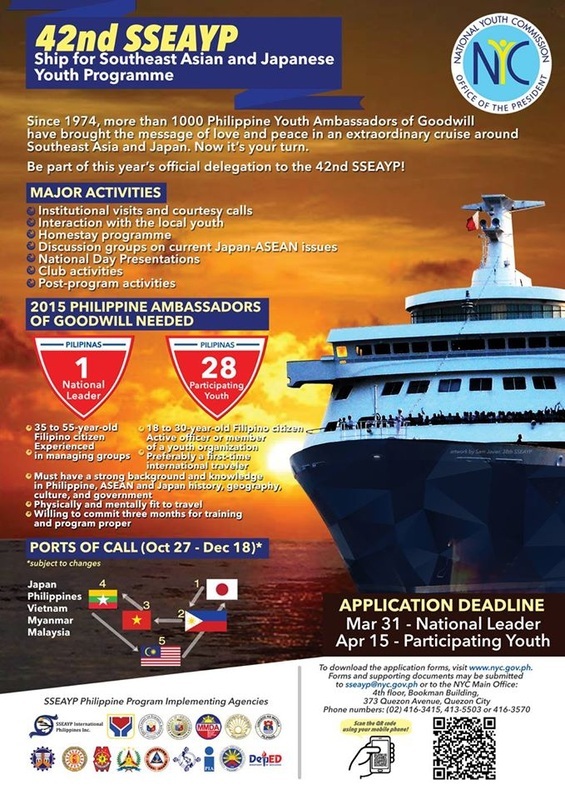 Click here for more info on the ASEAN SSEAYP Ship for Southeast Asian Youth Program.